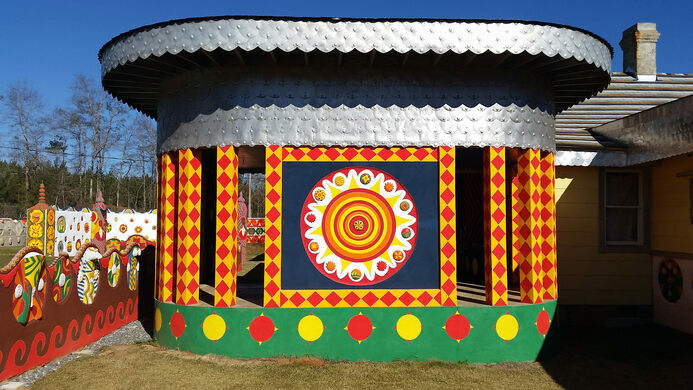 Explore the past, present and future of St. EOM's visionary art compound. Join us to explore one of the most important visionary art environments in the United States. 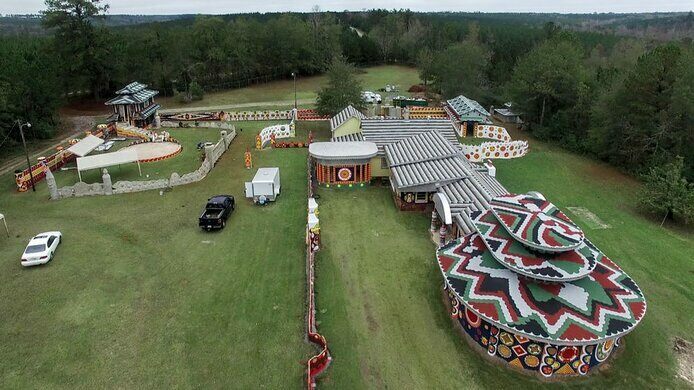 Inspired by a fever-dream vision of visitors from the future, St. EOM (Eddie Owens Martin) spent over 30 years of his life building Pasaquan, a truly incredible four-acre visionary art environment. 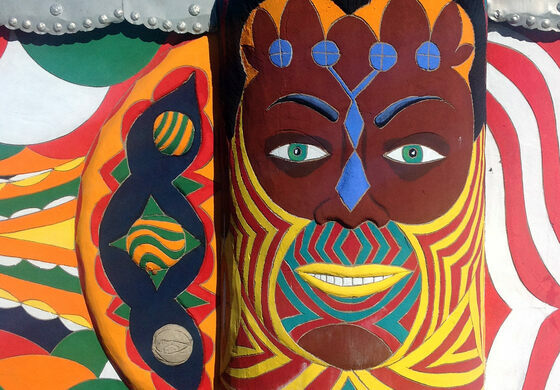 Martin sadly took his own life in 1986, leaving behind a kaleidoscopic complex consisting of six major structures, more than 900 feet of painted masonry fence, painted totems, decorative walkways, sculptures, and other art and artifacts. In 2014, the Kohler Foundation began to work on the preservation of Pasaquan in a massive restoration effort to be completed this Spring. One of the largest art environment preservation initiatives the Kohler Foundation has ever taken on, the work includes both object and painting conservation and has brought in conservators from around the country. This Obscura Day, join us for a very special tour of Pasaquan as we explore ST. EOM's fascinating utopian vision and the extensive restoration processes of the Kohler staff. Visitors are encouraged to wear closed-toe walking shoes as Pasaquan is an active restoration site. Guests are welcome to bring their own food, drink and blanket to picnic on the grounds following our tour. The majority of the site is outdoors, so please dress appropriately for the weather--Rain or Shine!